"hello there! hope you have a wonderful day"
today was pretty wet and grey, so i tried to leave my hearts around dry places that people might run into. 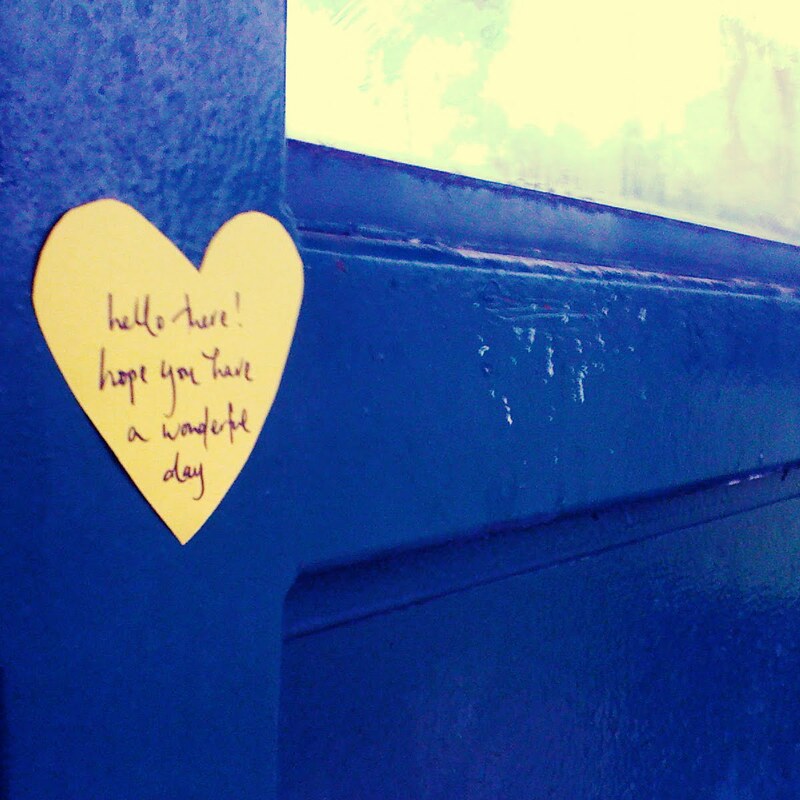 the first is a bus shelter on hale road, the second on bus 401 at 8am. 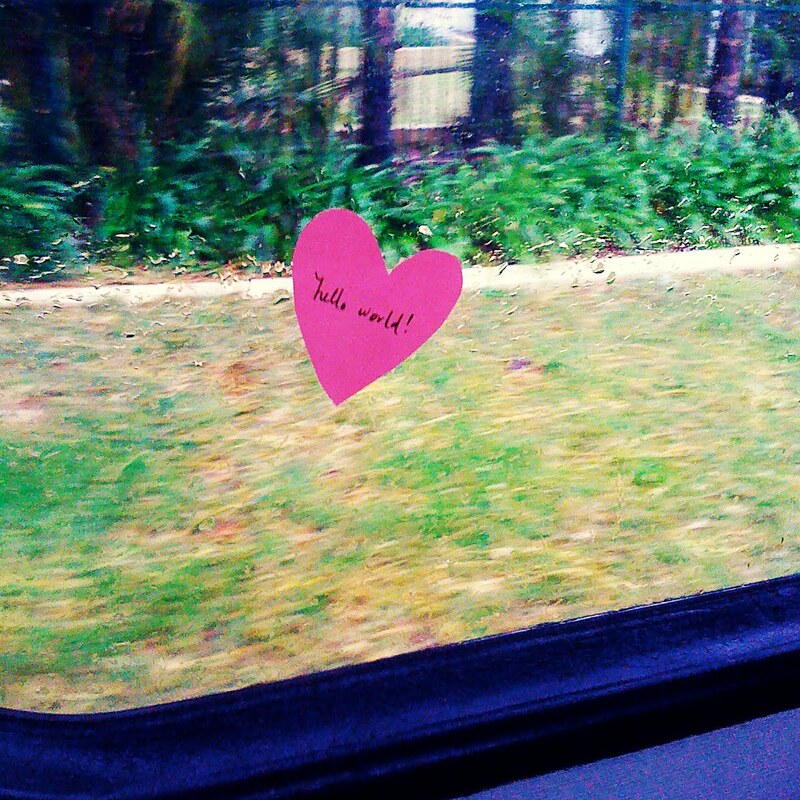 i like how the pink heart is peering out the window.. 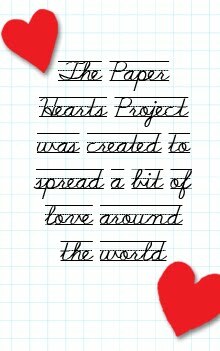 I just found this blog and I think the idea is lovely! 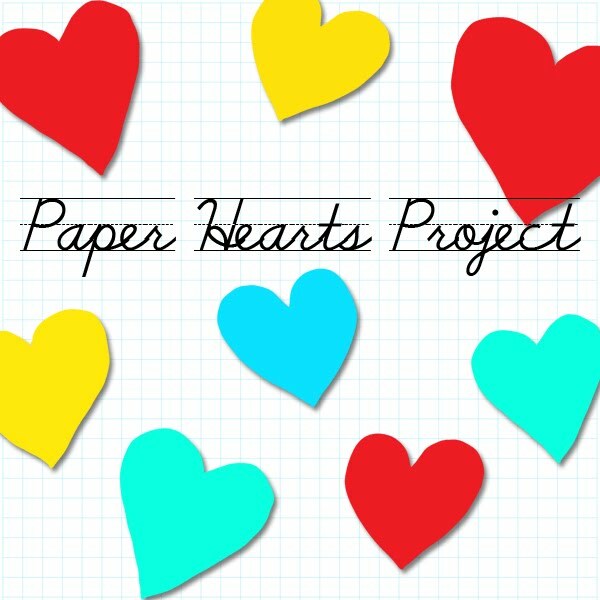 I'm going to make some hearts now to take with me while I'm running errands later today!